• Support sales motions, demonstrations, and scoping of Teradata application offers. • Provide the application solution configuration required to order the solution e.g. application software licenses required, application servers required, list pricing, etc. 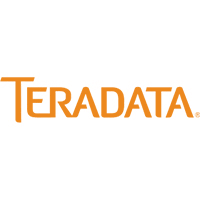 • Provide best practice guidance and mentoring to clients using the Teradata application. • Facilitate application test specification and testing. • In depth understanding of the application business domain (e.g. supply chain, marketing etc). • Industry experience from one or more supported industries. • Strong client interaction, communication, and consulting skills.